On a recent bitterly cold and snowy evening here in Taos, residents of the Taos Retirement Village gathered in their warm and cozy book-lined social hall to listen to a lively lecture by one of their own. 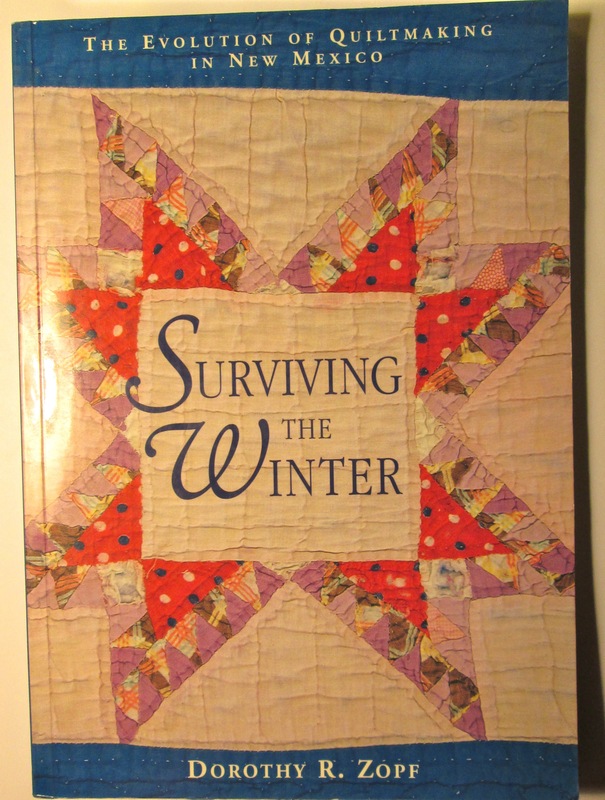 Expert quilter Dorothy Zopf, 86, who’d been a teacher for decades, knew just how to capture and maintain her large audience’s attention: through entertaining stories of her many adventures writing her book, Surviving the Winter: The Evolution of Quiltmaking in New Mexico (UNM Press, 2001). 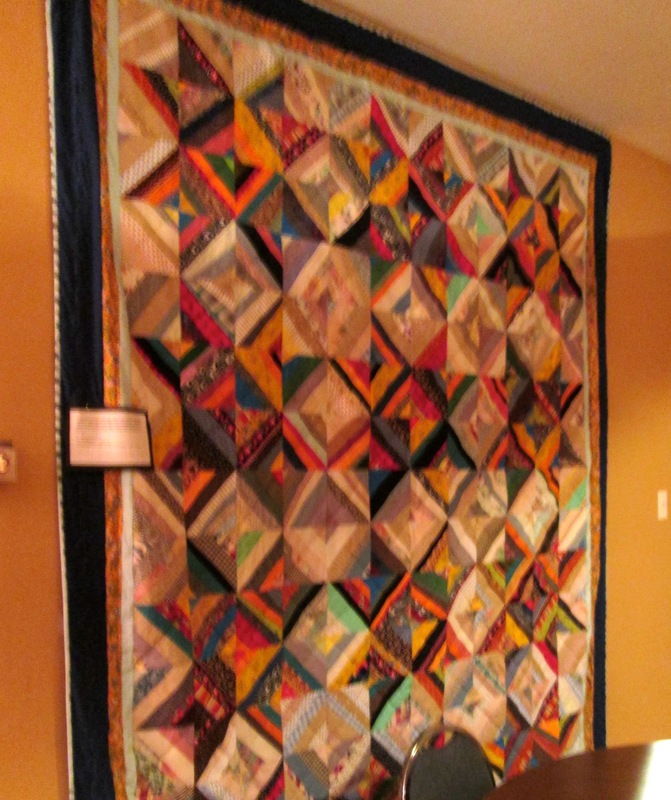 Every summer for six years, from 1991 to 1996, Dorothy and her team of volunteers traveled the state to interview quilters and glean their stories. 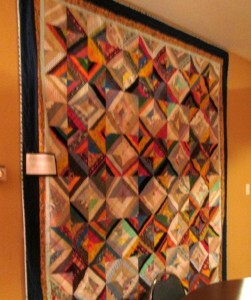 In all, they recorded data on 352 quilt makers, aged from five to eighty-five, and 848 quilts, dating from 1900 to 1996. They visited eight counties, equally divided between northern and southern New Mexico, and they clocked over 3,000 miles. 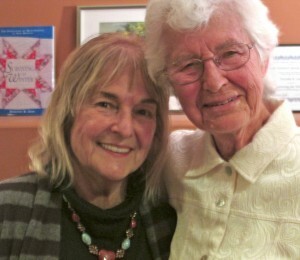 At the recent Village gathering, one of the original members of Dorothy’s team, writer and photographer Lorraine Ciancio (who was one of Dorothy’s “scribes”), joined her on the dais. “This was the beginning of a wonderful adventure!” Dorothy enthused. The gathering was rapt. She began by sharing some of their behind-the-scenes stories. On another trip, at an old cantina in the former mining town of Magdalena, the team discovered the ceiling “festooned with signed dollar bills — an act that assured a prospector one last drink even if he had gone bust,” Dorothy said. 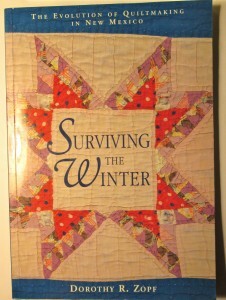 One of the many quilters featured in Surviving the Winter whom Dorothy highlighted in her talk was Viola Arellano Silva. Born during the Great Depression, and still living in the house she built herself in Arroyo Hondo, Viola has produced between one and two hundred old-way quilts for family use, indoors and out, Dorothy said. “Mostly these were bedroll quilts used by field workers before the harvesting of San Luis Valley potatoes was mechanized in the 1970s,” she added. After about an hour of lecturing, when the Village’s activities director asked whether Dorothy was tired and would like to take a break, Dorothy arched her back and quickly responded, “Honey, I could talk all night!” Everyone in the audience laughed. But clearly, on the subject of quilts and quilting, this was certainly true.